Dr. No is the first film in the James Bond series, and the first to star Sean Connery as British Secret Service agent James Bond. 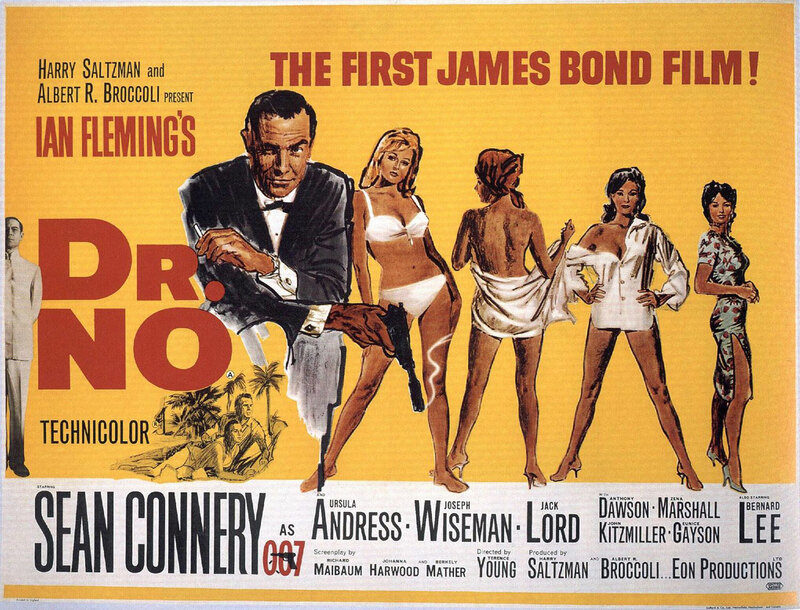 Based on the 1958 novel Dr. No by Ian Fleming, it was adapted by Richard Maibaum, Johanna Harwood, and Berkeley Mather. The film was directed by Terence Young, and produced by Harry Saltzman and Albert R. Broccoli, a partnership that would continue until 1975. In the film, Bond is sent to Jamaica to investigate the death of a British agent. The trail leads him to the island home of reclusive Dr. Julius No. Bond uncovers Dr. No’s plot to disrupt American rocket tests, and scuttles his operation.